Please welcome our newest Business Partner, Rangeley Region Sport Shop, in historic Rangeley, Maine. As anyone who knows brook trout knows, Rangeley, Maine, is the brook trout capital of the United States — nothing is even close. Rangeley Region Sport Shop is owned and operated by Brett and Susan Damm. They offer guiding, tying supplies, flies, as well as rods, reels, lines, leaders, and just about anything else you will need to fish the Rangeley region. 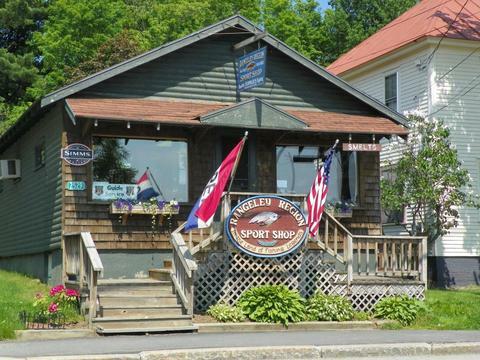 Rangeley Region Sport Shop is located at 2529 Main St., Rangeley, Maine. They can be found at www.rangeleyflyshop.com, and reached at 207-864-5615 or rivertoridge@aol.com Please support them as they have supported us and our wild native fish.